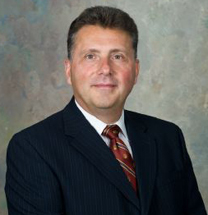 Michael V. Favia is an AV-rated and well respected attorney in a variety of practices including: Commercial and Residential Real Estate; Health Law, Litigation and Professional Licensing; Personal Injury and Wrongful Death; Workers Compensation. Favia is an attorney with great connections and experience from a variety of perspectives. He has extensive experience in legal matters regarding Illinois Professional Regulation and Licensure and was Chair of the Illinois State Bar Association’s Health Care Section Council. Attorney Michael V. Favia served as an Illinois Assistant Attorney General, and subsequently as the Chief of Medical and Health Related Prosecutions for the Illinois Department of Professional Regulation – now known as the Illinois Department of Financial and Professional Regulation (IDFPR) – for 8 years. Health Law, Licensing and Litigation are the focus of Michael V. Favia & Associates. With a vast network of healthcare professionals, we can handle the most complex legal matters. Michael V. Favia Advises and Represents Individuals, Licensed Professionals and Organizations with Commercial & Residential Real Estate; Health Law, Litigation & Professional Licensing; Personal Injury & Wrongful Death; and Workers Compensation. Michael V. Favia is a well respected and connected health law, litigation and licensing attorney with experience from a variety of perspectives. Highlights: John Marshall Law School, J.D., 1982; Loyola University, BBA 1978; Assistant Illinois Attorney General; Counsel to the City of Chicago; Former Chief of Medical and Health Related Prosecutions for the Illinois Department of Professional Regulation, directed the statewide enforcement of the Illinois Medical Practice Act and numerous other regulatory and licensure statutes. Selected by peers as a “Leading Lawyer” in the field of Health Law. -Rated AV- Highest Legal Ability Rating by Martindale Hubbell Peer Review Rating System. -Member of the Illinois Bar Association for over 25 years -Member of the Chicago Bar Association since 1982. I am a client of Mr. Favia's, and in my experience he was thoroughly professional, courteous, and innovative in his advice. He listened to my questions and answered with very specific recommendations that addressed all my concerns. He clearly has a deep wealth of experience in his areas of practice, and is able to apply this knowledge to his recommendations. I would not hesitate to recommend him. Michael Favia is a very knowledgeable and thorough attorney that will stand by you during a challenging time. In addition, his staff communicates very well with clients to keep them informed and updated. I would highly recommend Michael Favia for professional representation without further reservation. Retained Mr. Favia for the sale of a trust property. He was knowledgeable of the subject matter and provided instruction to aid in the sale. While living in Missouri, I relied on Mr. Favia to conduct business in Chicago. He presented himself in a professional manner and would not hesitate to employ him in the future.